20/20 Insight offers short to medium term borrowing to help SMEs with working capital and assets acquisition funding through the financing of viable contracts and projects. 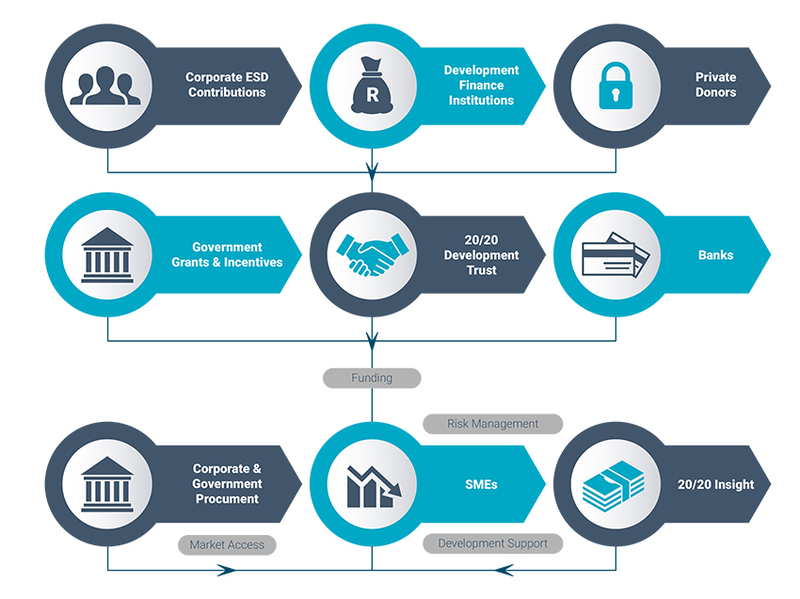 20/20 Insight finances both Corporate Company Contracts and Government Contracts. We work with all SMEs to ensure that they meet the minimum funding criteria and them with the compiling of funding applications. SMEs will also receive guidance and support to establish and grow their relationships with banking institutions. 1. At least 51% black ownership. 2. The applicant should have a viable contract or project. 3. The contract must define payment terms and conditions, in order to prove repayment ability. 4. The contractors should have the skills/ expertise relevant to the business and or industry. 6. Ourloan facility range from R0.5m to R50m with a maximum loan term of ten years. 7. We may finance start up business if they have a contract and the future cash flows are viable. 20/20 insight will structure the transaction if supported by a contract/ agreement/ purchase order. on receipt of all the necessary information 20/20 Insight will do an initial assessment and if the transaction is viable, we will proceed to drafting the funding application. 20/20 Insight requires 72hrs to complete a funding application. Funding application will be forwarded to 20/20 Insight’s funding partners for approval. It takes from 2-4 weeks to get a decision from 20/20 Insight’s funding partners on the funding application. An additional 2 weeks is required for pay out on a transaction if the transaction is approved. Please provide the following documents in order for us to process your application. If documents are outstanding, we cannot proceed with your application. This will delay your outcome. Please e-mail funding@2020insight.co.za or call 011-234 8998 for more details.